Whiplash is a common injury sustained in car accidents, especially in a rear-end collision. It is caused by a sudden jolt which whips your head forward and backward quickly, tearing the muscles, tendons, and ligaments in the neck. The speed of the vehicles does not have much impact on whether you get whiplash. This neck injury can occur even in car accidents involving vehicles traveling as slow as 15 mph. 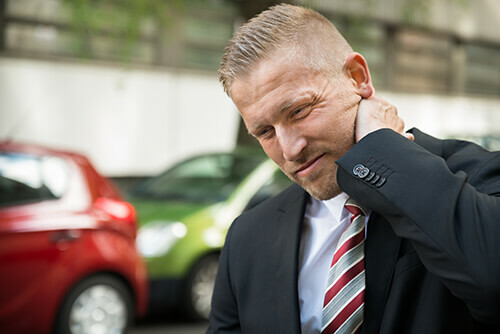 Although it may not seem serious, whiplash injuries can take a few months to heal and, in severe cases, the pain could become chronic and last for years after the injury occurred. Is it really worth pursuing a claim for a whiplash injury? Definitely, especially if the pain has not subsided after an extended period of time. If the pain does disappear after a week or two, then it may not be worth pursuing a claim. But if it’s five months later and you’re still experiencing pain and the doctor is suggesting physical therapy, you may want to contact our Houston car accident lawyer to see what your legal options are. If you have suffered whiplash in a car accident caused by the negligence of another driver, you may be entitled to receive compensation for your damages. Please contact a Houston whiplash injury lawyer at de Lachica Law Firm, PLLC, today to schedule your free initial consultation.